Molly Burhans used cutting-edge GIS software to map the global Catholic church. As a priest ushered Molly Burhans into the Apostolic Palace in May 2016, she strode past famous 16th-century maps painted for the papal residence. Maybe, she thought, prelates would see merit in her big idea. 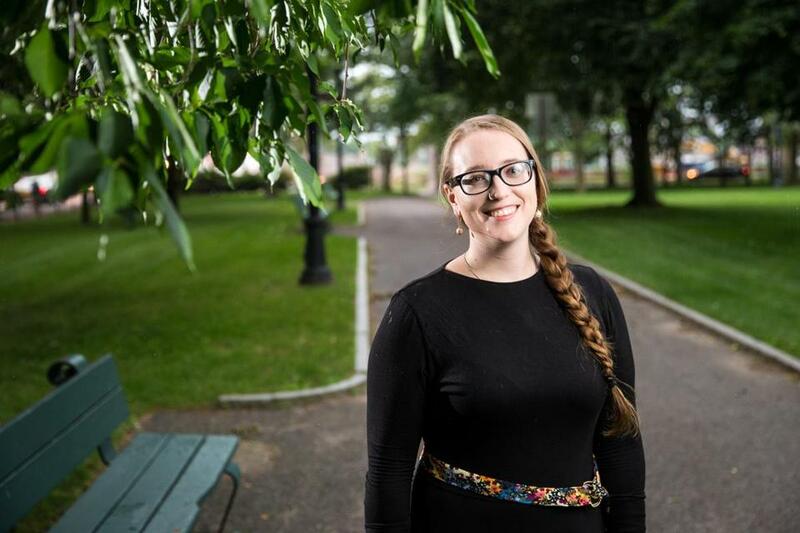 Only 26 years old, running a startup out of a borrowed house in Hartford, she had paid her way to Rome and stayed in a youth hostel bunk bed in pursuit of her goal: to secure Vatican permission to map the global Catholic Church. Using cutting-edge geographic information system software — GIS — she sought to make the first known map of the Roman Catholic Church across the world, beginning with diocesan boundaries and adding layer upon layer of data about the church and its social and environmental contexts. She would have to draw from hundreds of sources, from old books to hand-drawn maps on diocesan websites. Burhans believes her startup, GoodLands, can help harness the potential of the vast landholdings associated with the Catholic Church to advance Pope Francis’ agenda on social justice and the environment — maybe, even, to slow down climate change. It’s not at all certain the church can or will take full advantage of the possibilities. Most Catholic lands outside Rome are not owned by the Vatican, but by dioceses, parishes, religious orders, and organizations. The church is more a collection of wayward fiefdoms than an absolute monarchy. Even so, GoodLands’ supporters think better information could help Catholic leaders work together on problems, including “poverty, hunger, climate change, gross inequity,” said Kerry Alys Robinson, founding executive director of the National Leadership Roundtable on Church Management . Although she has received millions of dollars worth of donations of technology and expertise, Burhans has raised only about $70,000 cash for the project, mostly from private individuals and a few small grants; last year, Burhans said, she lived on $7,000, not including health insurance, Social Security, or her couch-surfing-heavy travel budget. She said she’s now focused on raising money to launch GoodLands’ first pilot projects. GIS mapping has most often been applied to local or regional projects, such as locating a highway or saving a wetland, said C. Dana Tomlin, an adviser to GoodLands, who teaches at the University of Pennsylvania and Yale University. “What the GoodLands project brings is the prospect of a much broader gesture that will affect all of Western Africa, or a gesture that will affect a wide swath of the earth,” he said. Many of the world’s poorest people will be most affected by climate change, said Stephen Ervin, assistant dean for information technology at the Harvard Design School and another GoodLands adviser. Burhans, the daughter of a computer scientist and a cancer researcher, published her first scientific illustration at age 14. In college, she found a spiritual home in the Catholic Church, admiring the simple communal life of nuns and even thinking of becoming one (she’s still considering it). While studying ecological design at the Conway School in Western Massachusetts, she discovered GIS software and resolved to use it to help the Catholic Church become a better steward of its lands. Her timing, as she set about starting her own nonprofit, was propitious: Pope Francis issued Laudato Si, his encyclical calling the church to conscience on the environment and social justice. She began assembling a network of mentors, including Rosanne Haggerty, a MacArthur Fellow who in the 1980s had worked on repurposing empty Catholic buildings in Brooklyn for affordable housing. Haggerty invited Burhans to live and work for free in her house in Hartford. A big break came when Esri, the leading global maker of GIS software, not only offered her use of its technology at negligible cost but invited her to visit its headquarters in Redlands, Calif., last year to brief its executives on her project. The company’s cofounder, Jack Dangermond, encouraged Burhans to think beyond environmental stewardship, suggesting she consider developing a central hub of spatial data on a wider array of Catholic sectors — including health, development, and education — that would let others share information. He invited her to embed with one of Esri’s special projects teams in Redlands to get the project off the ground. First, though, Haggerty helped set up meetings at the Vatican by buttonholing two key prelates at a Schwab Foundation for Social Entrepreneurship meeting. “I didn’t want to just show up in Rome one day with a comprehensive map of the church, like, ‘Surprise!’ ” Burhans said. The Vatican did not give her money or formal approval, but Burhans said the churchmen she met with seemed to understand what she was trying to do and offered encouragement. Over the summer, a GoodLands intern began working with Burhans and the Esri team to draw the first global GIS map of the Catholic world, showing boundaries of some 3,000 dioceses. They used hundreds of maps, images, and other information from around the Web, and built upon the work of a dedicated hobbyist who maintains a database of Catholic statistics on his website, Catholic-Hierarchy.org. Burhans spent four months in Redlands working with the Esri team, adding layers of environmental and social data to the base map, and creating systems that would let others contribute data and securely share it. The GoodLands “Catholic Geographic System” now includes hundreds of maps — of the priest shortage around the world, sea level rise in relation to Catholic-affiliated properties in the United States, Catholic communications networks in Africa. The system is not publicly accessible, because of safety concerns and because GoodLands’ business model is based on selling its research, maps, and analysis. But just as Burhans wants to serve large Catholic entities, including the Vatican, she also hopes to providecheap or free information and assistance to individuals and groups with few resources. To help subsidize that work, GoodLands will soon begin selling maps to Catholic schools and may also reach beyond the church to help businesses with environmental stewardship or humanitarian efforts. John Straub, chancellor of the Archdiocese of Boston, said GoodLands seemed to offer information that would be useful for dioceses — including, potentially, Boston. “Much of this information is available in a variety of places and formats, but it can be very time-consuming and difficult to find — especially given that we are spread out in over 100 towns in Massachusetts,” he said. Burhans has already undertaken a mapping project for a religious order, the Congregation of the Mission, and displayed some of her maps at a Vatican Youth Symposium in Rome last year. She’s also assisting an outside advisory group that is working with the Vatican on arts and technology initiatives. Barry Threw, program director for the Vatican advisory group, said the church has a massive network of resources around the world, but no way to visualize that network. “It will be impossible to make the kind of change the church has asked for without tools like Molly is developing,” he said. For more information about GoodLands and its maps, click here for a story map about the project created by Burhans.